Jac o' lyn Murphy: A Birthday SLIP OVER! to celebrate Kaitlyn's big day! So cute & creative. just love it. A girl can never have enough PINK! BEST sleep over invitation ever!! 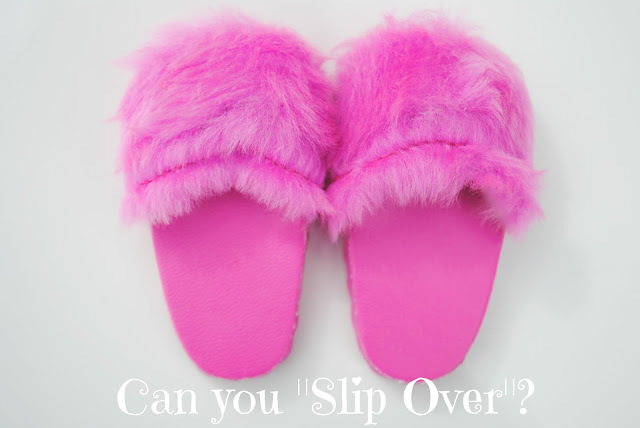 Did you make those adorable slippers? Too cute! Super adorable invite! 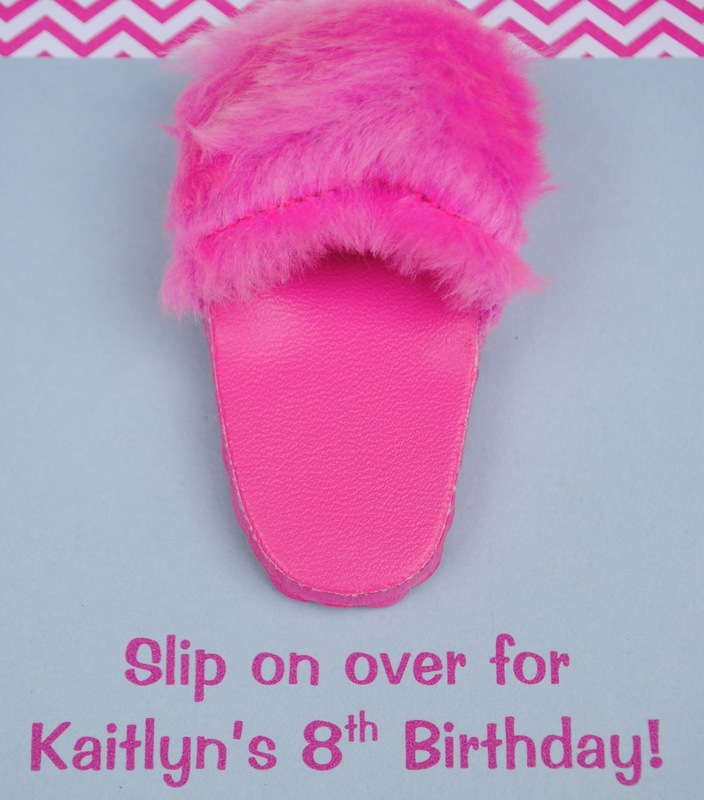 Did you print them yourself or get them printed someplace and then add the pink slipper? 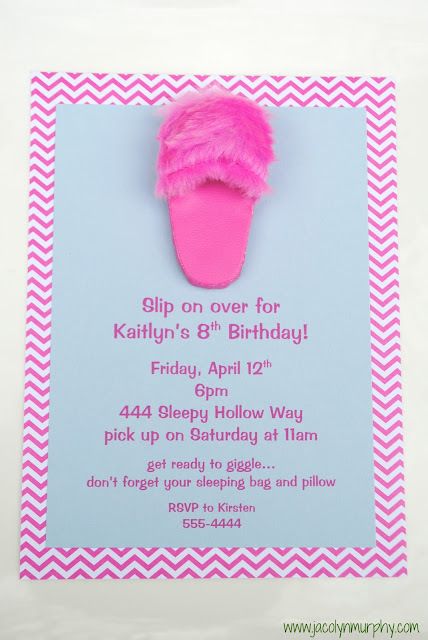 Great girly slumber party invite!! Thanks Nicole, I print them! I love this. SO unique and perfect for an 8th birthday! Absolutely adorable and so different. Thanks for sharing.